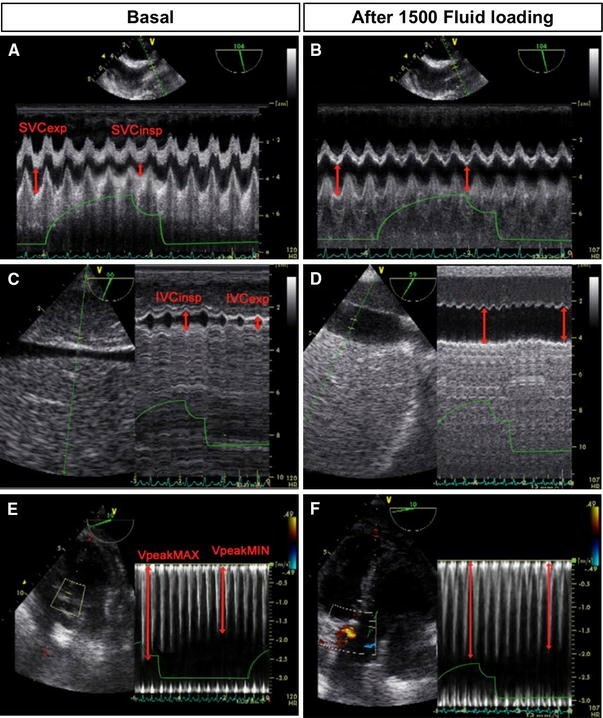 Non-invasiveness and instantaneous diagnostic capability are prominent features of the use of echocardiography in critical care. Sepsis and septic shock represent complex situations where early hemodynamic assessment and support are among the keys to therapeutic success. 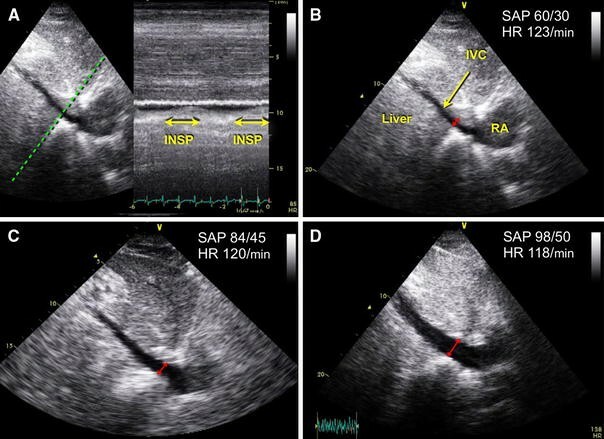 In this review, we discuss the range of applications of echocardiography in the management of the septic patient, and propose an echocardiography-based goal-oriented hemodynamic approach to septic shock. Echocardiography can play a key role in the critical septic patient management, by excluding cardiac causes for sepsis, and mostly by guiding hemodynamic management of those patients in whom sepsis reaches such a severity to jeopardize cardiovascular function. In recent years, there have been both increasing evidence and diffusion of the use of echocardiography as monitoring tool in the patients with hemodynamic compromise. Also thanks to echocardiography, the features of the well-known sepsis-related myocardial dysfunction have been better characterized. Furthermore, many of the recent echocardiographic indices of volume responsiveness have been validated in populations of septic shock patients. 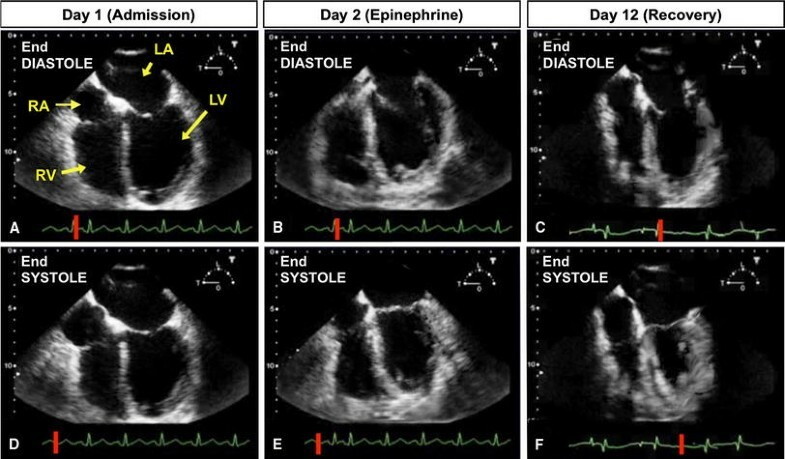 Although not proven yet in terms of patient outcome, echocardiography can be regarded as an ideal monitoring tool in the septic patient, as it allows (a) first line differential diagnosis of shock and early recognition of sepsis-related myocardial dysfunction; (b) detection of pre-existing cardiac pathology, that yields precious information in septic shock management; (c) comprehensive hemodynamic monitoring through a systematic approach based on repeated bedside assessment; (d) integration with other monitoring devices; and (e) screening for cardiac source of sepsis. Sepsis and septic shock (SS) are common causes of cardiovascular failure in critical care and are the most frequent causes of mortality in intensive care units [1, 2]. SS is one of the most complex hemodynamic failure syndromes, as it may imply derangement of all the three mainstays of cardiovascular homeostasis, each one to a variable degree: absolute or relative reduction in central blood volume, peripheral vasodilatation and myocardial failure may coexist and variably overlap in different phases of septic shock’s course [3, 4]. Echocardiography (ECHO) has nowadays acknowledged clear indications in hemodynamic instability , is increasingly used by intensive and critical care physicians, and is advocated by many as an irreplaceable tool in the approach to and management of the critical patient [6–8]. Many are the reasons that make ECHO suitable for guiding hemodynamic management of septic critical patients at different stages of their critical illness: (1) non-invasiveness, rapidity—in adequately trained hands ECHO has the potential to non-invasively provide at the bedside instantaneous relevant diagnostic information on patients’ cardiovascular status [9, 10]. Even though a comprehensive ECHO examination may be time consuming, time required for a focused, limited ECHO examination ranges from seconds to a dozen of minutes [11, 12]; (2) diagnostic yield, monitoring capabilities—ECHO offers the matchless advantage to perform both detailed functional and morphological assessment of the heart; pathological changes in venous return and vascular tone can then be assessed with dynamic investigation of their consequences on the heart and the great vessels [13–15]; (3) impact on patient management—even in patients already monitored invasively, both transthoracic ECHO (TTE) and transesophageal ECHO (TEE) add new relevant information that leads to changes in therapy in more than 50% of cases [12, 16, 17], the majority of which concern volume status and inotropy ; (4) flexibility—its use is scalable from a limited/focused to a comprehensive examination, according to time available and complexity of clinical queries. Either TTE or TEE can alternatively be used, according to availability and to the specific information needed; (5) accuracy—the use of ECHO as hemodynamic monitoring tool has already been validated in populations of septic shock patients , so as have been many of the most recent ECHO indices of volume responsiveness . ECHO seems to be more accurate than the standardized strategy proposed by the Surviving Sepsis Campaign guidelines in the detection of the dominant features of the failing circulation . Indeed, a simplified qualitative approach has demonstrated to be accurate enough ; (6) specific cardiac issues related to sepsis—the heart, main target of the ECHO examination, frequently represents itself the core of the septic process, being either “a victim” (when sepsis-related myocardial dysfunction develops) or its source (in the context of endocarditis). 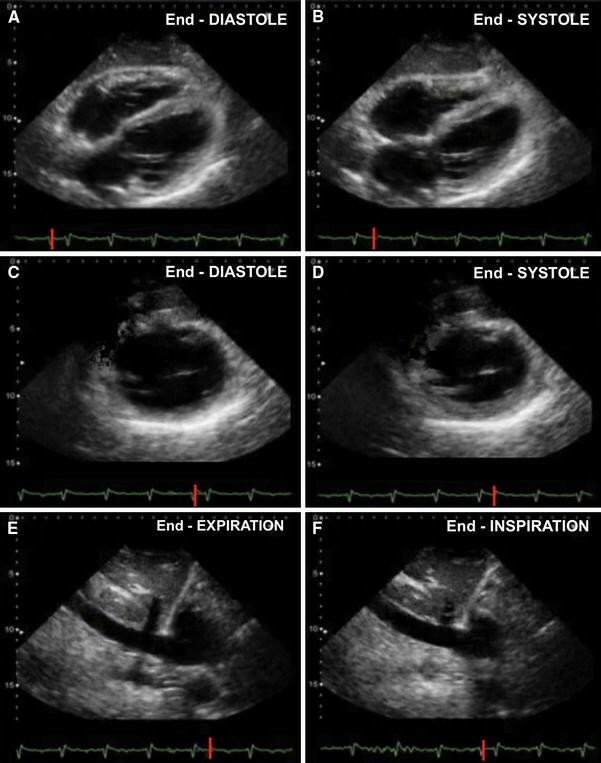 The purpose of this review was to describe ECHO applications and potential findings in the critical septic patient, and provide a framework for the practical approach with Echo to SS management, both at onset and in the subsequent course of the disease. Sepsis mortality is directly linked to hemodynamic instability resulting in tissue hypoxia, and prompt support aimed at specific hemodynamic targets has been demonstrated to reduce it significantly , up to saving the lives of one in six sepsis patient . One key component of early goal-directed therapy strategies in SS is the accurate hemodynamic assessment and recognition of the dominant feature of the failing cardiovascular system (defective volume or vascular tone, failing heart pump) with subsequent appropriate management [23, 24]. Consistently with this need to accelerate the correct treatment, bedside TTE in the early phase of undifferentiated shock sharply reduces the number of viable diagnosis . 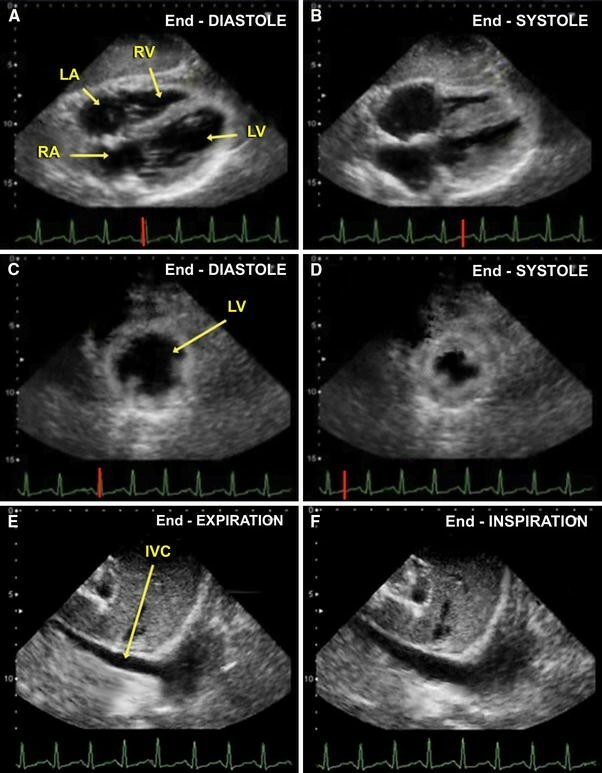 Focused ECHO findings typical of early SS (Table 1) are represented by signs of profound hypovolemia: ventricular hyperkinesia [small hypercontractile left ventricle, LV, with end-systolic obliteration of cavity  (Fig. 1a–c, Video 1A, B ESM), small hypercontractile right ventricle, RV] and small inferior vena cava with marked respiratory variations [27, 28] (Figs. 1e, f, 2a). Once this hemodynamic pattern has been detected, matched with clinical findings to make a presumptive diagnosis, and hemodynamic support started, an increase in inferior vena cava size  and in right and left ventricular end-diastolic dimensions  is expected with progression of volume resuscitation (Fig. 2b, c, Video 1 ESM). Persistent small end-systolic dimensions suggest then vasodilatation and need for vasoconstrictors upward titration. Furthermore, early performance of focused echo allows for timely screening of sepsis-related myocardial dysfunction and hence more careful fluid administration and early inotropic support (vide infra). SS superimposing on pre-existing cardiac dysfunction, or sepsis-triggered cardiac derangements (myocardial ischemia), or aggressive mechanical ventilation (hindering RV function in the context of ARDS, pneumonia) may determine from the beginning a different pattern, where typical features are missing, and RV or LV dysfunction appears as the main finding. Recognition of a relevant dilatation of any cardiac chamber other than the RV (the only chamber that can dilate acutely) or dilatation and hypertrophy of the RV gives clues toward a subjacent chronic dysfunction, avoids misdiagnosis of a primary cardiogenic aetiology of shock , and bears prognostic information linked to relevant co-morbidity. Severe LV hypertrophy and/or LV diastolic dysfunction may represent potential pitfalls on ventricular size-based volume status assessment: in this case, persistent LV small dimension does not equate to safe fluid infusion. Fluid administration should altogether not be gauged on LV or RV dimensions in the aforementioned settings of co-existing chronic heart disease, but rather on inferior vena cava size, when small, and on volume-responsiveness indices (vide infra). Additional focused ultrasound investigations (lung, abdominal, soft tissues, beyond the scope of this review) in a multi-focused transversal approach [30, 31] should help in confirming suspicion of a septic etiology of the critical state and save time in early institution of empirical antibiotic therapy, upon appropriate bacteriological sampling. While pattern recognition may suffice in the very early approach to SS , with ongoing resuscitation or more complex situations (ex. co-existing disease), a systematic step-by-step assessment is necessary to monitor hemodynamics. Repeated bedside assessment at each hemodynamic deterioration or significant therapeutic variation is the key to the use of Echo in this hemodynamic fashion  and allows for prompt recognition and correction of the specific causes of cardiovascular instability, which is mandatory in SS management [20, 24, 33]. ECHO findings should be appropriately interpreted in the clinical context and integrated with available data from other monitoring tools (systemic arterial mean pressure, central venous pressure and saturation, arterial blood lactates, urine output), especially with the ones concerning the adequacy of tissue perfusion, on which echocardiography is blind. TEE always enables a complete assessment, inclusive of detailed heart–lung interactions and fine volume responsiveness evaluation, cardiac output assessment, and left-ventricular end-diastolic pressures estimation, when required. When adequate views can be achieved, TTE allows for even less invasive and thus more repeatable assessment, especially once key hemodynamic features have already been focused. ECHO reporting and storage of images and video clips allow for accurate comparison of findings obtained at different time spots and should thus be mandatory. Stroke volume is calculated through Doppler sampling of LV outflow tract (LVOT) flows (TTE 5 chamber view or TEE deep TG/TG LAX view), and is feasible provided the absence of aortic valve pathology . Doppler sampling provides the time–velocity integral of blood exiting the LV; this integral (a distance) is then multiplied by the calculated cross sectional area of the LVOT itself (TTE parasternal LAX view/ME LAX view), yielding a volume, the stroke volume and then turned into cardiac index (Fig. 3a, b). This method actually provides an estimation of cardiac index rather than a precise determination: most validation studies using thermodilution as gold standard for cardiac output measurement reported limits of agreement with TEE reaching ± 1 L/min . In practice, ECHO is used to semi-quantify cardiac index (i.e. to allocate patients into ranges of values: very low/low/normal/high), and most usefully to evaluate variations following therapeutic maneuvres (Fig. 3c). Relying upon the LVOT velocity–time integral, rather than calculated stroke volume, eliminates the major source of error (i.e. LVOT cross-sectional area calculation). Furthermore, the issue of potential inaccuracy of thermodilution should not be overlooked . Due to peripheral flow distributive derangements, usual normal values of CI should not be considered necessarily adequate in SS. Other ways to calculate the stroke volume include the 2D-based modified Simpson’s rule and the M-mode-based Teicholz method; even if easier in their approach, they are not sufficiently accurate to be recommended as routine practice. 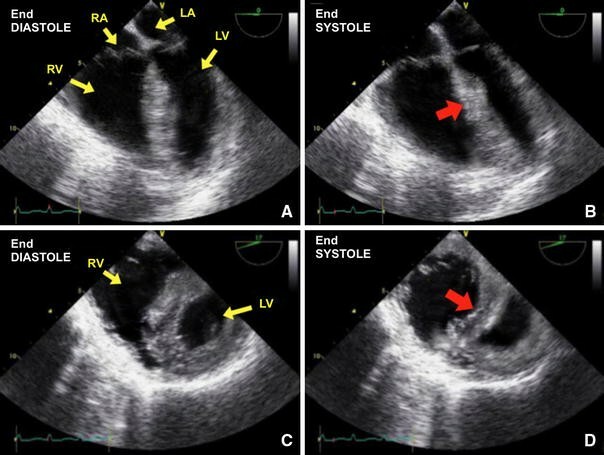 After the first phase of shock resuscitation, signs of severe hypovolemia may still exist and be detected as a small LV end-diastolic area (LVEDA, easily measured in a TTE parasternal short axis or in a TEE transgastric midpapillary view). But most frequently a volume-resuscitated shock will need a volume responsiveness assessment in order to unmask a persistent preload defect . Volume responsiveness can be detected with various ECHO indices (Table 3), but this assessment must be tailored to the clinical setting. In fully passive mechanically ventilated patients with sinus rhythm, indices derived from study of heart–lung interactions are highly accurate: ≥12.5% respiratory variation of LV ejection , ≥18% inferior vena cava distensibility  (TTE subcostal view), or ≥36% superior vena cava collapsibility  (TEE bicaval view) are validated cutoffs, with sensitivities and specificities ranging from 90 to 100% (Fig. 4). Low tidal volumes may yield false negatives , and severe RV dysfunction, for LVOT flows-based indices, false positives . Spontaneous breathing and/or non-sinus rhythm requires a passive leg-raising test: a ≥12.5% LVOT velocity–time integral increase upon shift of patient position from 45° trunk elevation to 45° leg raising is predictive of SV increase with volume loading (Fig. 2 ESM) with 77% sensitivity and 100% specificity . False negatives to the test may occur, especially in the context of abdominal hypertension for values of intrabdominal pressure >16 mmHg . When still in doubt, an Echo-monitored fluid challenge (the search for ≥15% Echo-measured stroke volume increase upon a limited fluid bolus infusion) is indicated as last choice. Of note is that the existence of volume responsiveness is better supported by a bundle of ECHO findings rather than a single positive index, and that it does not necessarily equate to the need for fluid infusion (absolute hypovolemia correction); also recruitment of unstressed volume from the venous reservoir (relative hypovolemia correction) may increase cardiac output [45, 46]: when an upward titration of vasoconstrictors determines an increase in stroke volume, this may be the preferred choice toward limiting harmful positive fluid balance . LV systolic function is assessed either visually (qualitatively), or by means of widely used 2D measurements (quantitatively). These are based on the percentage variation of LV size from end-diastole to end-systole, either referring to its diameter (FS, fractional shortening), its area (FAC, fractional area change), or its volume (EF, ejection fraction). LV sepsis-related myocardial dysfunction is nowadays a well-known entity , and both global and regional systolic wall motion abnormalities can be found [49, 50]. A so-called hypodynamic pattern (low cardiac index associated with reduced ejection fraction, EF, below 40–45%) is described in up to 60% of SS patients [14, 51]: its detection should prompt inotropes administration, even if central venous pressure values indicated by guidelines as target for ceasing volume loading have not been reached yet (further increase in preload on an acutely failing LV may not only fail to increase oxygen delivery but may also cause harm). Sequential determinations of EF, FAC and FS will allow for appreciation of LV dysfunction’s complete recovery in survivors (Fig. 5, Video 5A, C ESM) [52, 53]. Time pattern of this phenomenon has been characterized: dysfunction appears usually on day 1 roughly in two-thirds of affected patients, on day 2–3 in the other third, while recovery takes 7–10 days. (Fig. 3 ESM) . As sepsis-related myocardial dysfunction can be masked by associated vasodilatation and preload inadequacy, LV systolic function should always be re-assessed after preload and afterload optimization (Fig. 6, Video 6A, B). Conversely to what previously believed, there is no LV adaptive dilatation to this transient systolic function reduction (a relevant increase in chamber dimension to compensate for a reduced contractility): even if referred to as “dilatation” also by some recent echocardiographic literature, no acute relevant increase of LV size beyond upper limits of the normality range is to be expected in a previously healthy septic-depressed LV [53, 55], but rather changes is LV size according to different loading conditions in distinct phases of SS. Of note, ECG helps to distinguish between acute coronary syndrome-determined dysfunction triggered by sepsis (with electrical signs of ischemia) from true sepsis-related myocardial dysfunction (negative ECG for ischemia). Cardiac troponins show increases in both cases . Myocardial perfusion ECHO may be a promising technique to allow for differential diagnosis . RV systolic dysfunction can also develop in SS, and it is been described in up to one-third of patients [14, 58]. It can either be part of biventricular dysfunction or represent an isolated RV dysfunction. Intrinsic depression of RV myocardial function is detected as RV hypokinesia, and semi-quantitatively appreciated as a variable degree of RV dilatation (with RV end-diastolic area, RVEDA, to LV end-diastolic area, LVEDA, ratio measurement in a four chamber view). When RV systolic overload (due to ARDS, mechanical ventilation) develops , or even worse superimposes on an already poor RV function, an overt state of acute cor pulmonale can appear, and it is revealed by septal dyskinesia (Fig. 7, Video 7A, B) . With introduction of lung protective ventilation strategies, frequency of this phenomenon has markedly decreased , and RV dilatation represents the most frequent finding. Such as LV dysfunction may be unmasked by vasoconstrictors administration, so can RV failure become manifest only upon institution of mechanical ventilation. Time course of sepsis-related RV dysfunction resembles that of LV dysfunction . Whenever detected as main hemodynamic feature (in the ARDS setting), not only inotropes administration but also vasoconstrictors upward titration is indicated, together with low plateau pressure of ventilation; this hemodynamic pattern may also represent an indication for inhaled nitric oxide administration and for patient’s pronation [60, 61]. Echocardiography offers theoretically the tools to calculate systemic arterial vascular resistance but with a cumbersome method and infrequent clinical applicability. In clinical practice, sepsis-related vasodilatation is diagnosed with exclusion criteria: persistence of hypotension despite adequate preload and preserved (or pharmacologically normalized) biventricular systolic function, and thus absence of a low-output state, invariably means a need for an increase in systemic arterial vascular tone . As mentioned above, also in some situations of volume responsiveness upward titration of vasoconstrictors is indicated. Additionally, assessment of LV diastolic properties and LV filling pressures estimation may be of use. Diastolic dysfunction has been demonstrated in SS patients using relatively preload-independent parameters, based on mitral annulus tissue Doppler and mitral inflow propagation velocity; not only as associated with systolic dysfunction, but also as isolated impairment of LV relaxation [62, 63]. Even if clinical implications of this still have to be fully clarified, practical impact may be derived for patients with isolated diastolic dysfunction and evidence of elevated LV filling pressures in the context of hypoxemia: fluid restriction and diuretics are then consistent choices (patients with systolic dysfunction do not viceversa risk to remain undetected, as they already usually are submitted to such a tretment, toghether with inotropes). Various Doppler-derived parameters provide estimation of LV filling pressure with good correlation to invasively measured pulmonary artery occlusion pressure (PAOP), specifically in septic shock patients populations . In mechanically ventilated patients, mitral E/A < 1.4, pulmonary vein S/D > 0.65 and systolic fraction >44% best predict a PAOP ≤ 18 mmHg ; lateral E/E′ < 8.0 or E/Vp < 1.7 predicts a PAOP ≤ 18 mmHg with a sensitivity of 83 and 80% ; mitral E/A > 2 predicts a PAOP > 18 mmHg with 100% positive predictive value . A structured approach integrating assessment of these hemodynamic targets into a practical algorithm is proposed in Fig. 8. Infective endocarditis (IE) is a microbial infection of intracardiac structures facing the blood. It can be encountered in ICU patients mainly in two scenarios: (A) as cause of admission, due to severity of its complications leading to cardiogenic shock in a febrile context, or to pure septic shock; (B) as acquired infection during ICU stay, leading to a septic state with no evident focus. IE on native or prosthetic valves is defined on the bases of a well-established set of diagnostic criteria [67, 68], and echocardiography provides for one of the major ones. IE is a severe disease with a high mortality, ranging from 20 to 25%  and up to 45% in patients then admitted to ICU . Echocardiography highly contributes to IE diagnosis, allows for severity assessment, and has a pivotal role in IE management and decision making both on therapy and complications [71, 72]. Three potential ECHO findings are deemed to be important criteria in establishing an IE diagnosis (Table 4): (A) mobile echo dense mass attached to valvular or mural endocardium or to implanted material (Fig. 9a–d, Video 9A, B, Video 10–11 ESM), (B) paravalvular fistulae or abscess formation (Fig. 9d, Video 12 ESM), and (C) new disruption or dehiscence of a prosthetic valve (paravalvular leak) (Video 13 ESM). In severely damaged native valves (especially rheumatic), clear identification of small vegetations may be very difficult. Differential diagnosis between prosthetic valve IE and non-obstructive thrombus, or between bioprosthetic valve IE and degeneration, can be very challenging. Relevant differences in diagnostic accuracy for IE exist between the transthoracic and the transesophageal technique. Compared with TTE [73, 74], TEE has greater sensitivity on small vegetations and on mitral valve IE. Both techniques reach high specificity in equal manner, and detection of a vegetating mass with focused TTE in first approach to a shocked patient can be lifesaving. The clinical context influences TTE and TEE diagnostic capability : while with low IE pre-test probability a negative good-quality TTE can exclude the diagnosis, TEE should be performed on all TTE negative cases with a more-than-low clinical suspicion. In mechanically ventilated ICU patients TEE is almost invariably needed. It is then mandatory in the assessment of suspected prosthetic valves IE, and in TTE positive cases to identify major valvular complications and guide surgical planning . Of particular note is that the clinical presentation of IE in acutely ill patients can be very much variable, ranging from a febrile state, to septic or cardiogenic shock, to any embolic manifestation. Echocardiography alone cannot be used to make diagnosis of IE: a combination of clinical-instrumental-microbiological criteria is required, and differential diagnosis between IE vegetations and other intracardiac masses should always be considered. Even if one-third to a half of IE develop in absence of pre-existing cardiac pathology or prosthetic devices, a high suspicion for IE should be kept for septic patients with prosthetic valves, implantable devices, or known significant native valve pathology, and for ICU bacteriemic patients with unknown septic focus. IE on indwelling central venous catheters or implantable devices (pace-makers, internal cardioverters-defibrillators) is uncommon due to the lack of the hemodynamic factors usually involved in IE pathogenesis (flow turbulence, high pressure gradients) , but is getting more frequent as a consequence of development and increased use of invasive diagnostic and therapeutic procedures. In an ICU septic patient with no other clear infective focus it should thus be considered, especially if evidence of pulmonary septic embolism exists  (Fig. 9e, f, Video 14 ESM). 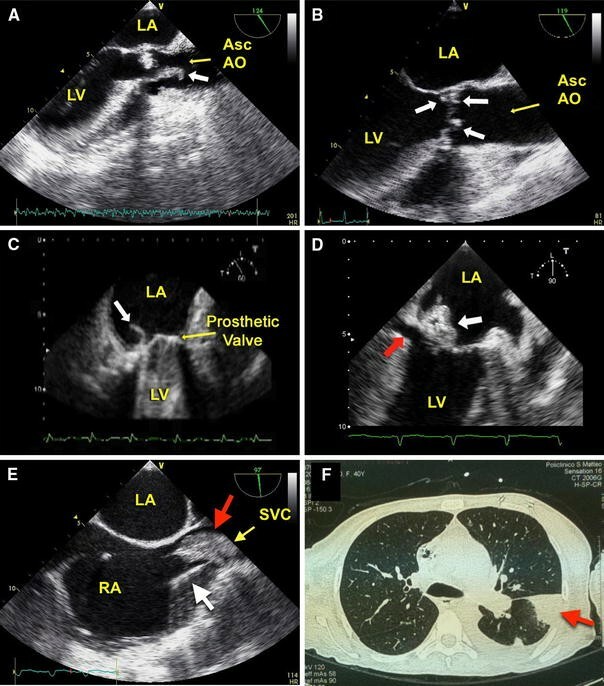 Besides searching for vegetations on the catheter, from superior vena cava to its implantation on the myocardium, the ECHO exam should seek carefully for IE-associated localizations on right heart valves [77–81]. Visualizing vegetations on implantable devices (mass or sleeve-like) may be difficult, due to artifacts coming from the device itself. Small fibrin strands may represent a difficult differential diagnosis. Septic thrombus on temporary central venous catheters in ICU patients  and right heart endocarditis following pulmonary heart catheterization have also been described . Finding of masses on central venous catheters, more frequent, should prompt to consider non-septic thrombosis as differential diagnosis with EI. Microbiological data become obviously crucial. Even if ECHO has been extensively validated as accurate and safe, and is currently employed on septic critical patients by many clinicians, real outcome data related to its use (beyond simple demonstration on impact on patient management) are lacking. Limitations in its use also exist. Low echogenicity at surface examination matched with contraindications to TEE clearly prevent its use. Whenever there is strict requirement of continuous monitoring (of cardiac output or pulmonary artery pressure) or precise measurement rather than estimation of deemed relevant variables (mainly PAOP or extravascular lung water), ECHO is not the right tool. In centres where a tradition and adequate training on the use of critical care ECHO exist, this is no frequent , and repeated bedside assessment and semi-quantification of hemodynamic variables enable use of ECHO alone as monitoring tool. As it happens with targets of critical care practice other than hemodynamics, integrated monitoring remains fundamental, and ECHO is in the best position to be used in conjunction with other devices (pulse contour technique based cardiac output monitors, pulmonary artery catheter, PiCCO) . Indeed, it can guide choice between them and timing of use. A final issue is represented by time required to the clinician to acquire sufficient competence in critical care ECHO. For applications beyond focused ECHO, particularly comprehensive hemodynamic monitoring, the training may in fact be demanding , and not all physician may be willing to undergo a dedicated training. Echocardiography marries diagnostic capability with monitoring accuracy, morphological assessment with functional investigation. In the complex scenario of the critical septic patient it has therefore the potential to be regarded as an ideal monitoring tool, in most circumstances used alone, sometimes in combination with other devices. Beyond the very first stages of septic shock, where focused ECHO may suffice, a comprehensive systematic ECHO assessment of cardiac output, left and right systolic ventricular function, volume status and filling pressures is required, and allows for effective hemodynamic management. Unfortunately, outcome studies on the use of ECHO in septic shock are lacking, and are therefore strongly advocated. As a matter of fact, availability of ECHO equipment and adequate training remain actual major limitations on a wider use of ECHO in this setting.